Kimberly L. Campbell has been appointed to the Special Committee on Judicial Election Campaign Intervention. Supreme Court Presiding Justice Jim Kitchens on March 2 appointed Campbell, a Jackson attorney. Campbell will replace William Walker Jr. of Jackson. Walker was named to the Special Committee on Jan. 30, but told the Supreme Court by letter on Feb. 28 that he would be unable to serve. The Special Committee is designed to respond swiftly to allegations of judicial election campaign misconduct. 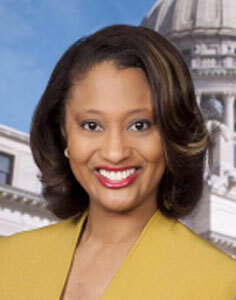 Campbell has served as AARP Mississippi State Director since May 2016. She previously served in the House of Representatives. Other members of the Special Committee, appointed in January, are Court of Appeals Presiding Judge T. Kenneth Griffis of Ridgeland, appointed by Supreme Court Chief Justice Bill Waller Jr.; Chancellor Ronald Doleac of Hattiesburg, appointed by Supreme Court Presiding Justice Michael K. Randolph; attorney Thomas A. Wicker of Tupelo, appointed by Supreme Court Justice Josiah D. Coleman; and attorney Everett T. Sanders of Natchez, appointed by Court of Appeals Presiding Judge Tyree Irving. The five-member committee can offer advisory opinions and investigate complaints of judicial campaign misconduct. If the Special Committee finds evidence of some campaigning impropriety, it may issue a confidential cease-and-desist request to the candidate. If a cease-and-desist request is disregarded or if unethical or unfair campaign practices continue, the Special Committee may issue a public statement about violations. If campaign conduct appears to violate an election law or a canon of the Code of Judicial Conduct, the matter will be turned over to the Commission on Judicial Performance.